A great project to decorate and collect lollies at Halloween. Also ideal for party lolly bags with fun characters on the outside! 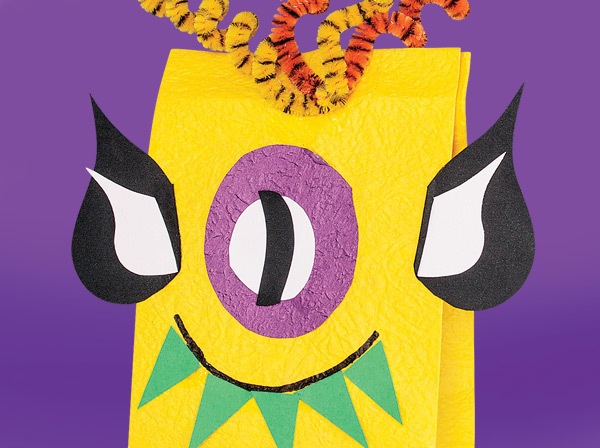 Lay a paper bag flat so that you can easily decorate it. 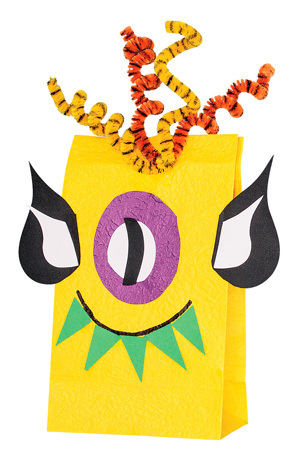 Collage a monster face onto the bag and add details with a Yoken Marker. Attach Chenille Stems as antennae for the monster.